Explanation: Like an illustration in a galactic Just So Story, the Elephant's Trunk Nebula winds through the emission nebula and young star cluster complex IC 1396, in the high and far off constellation of Cepheus. 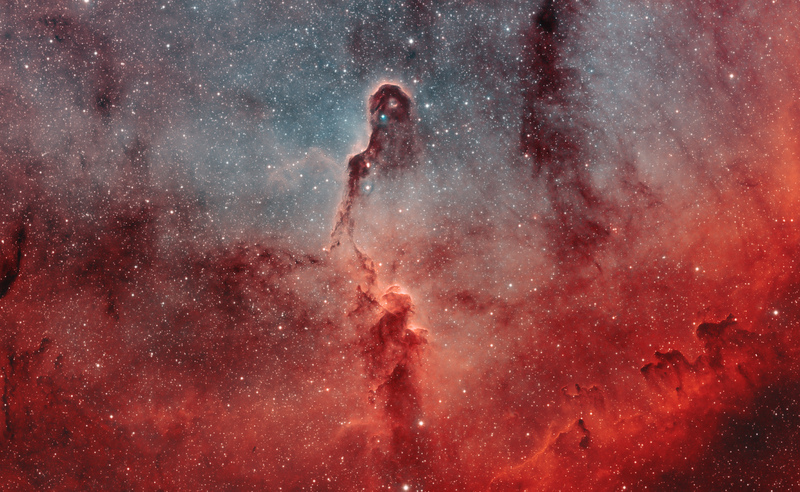 Of course, the cosmic elephant's trunk is over 20 light-years long. This composite was recorded through narrow band filters that transmit the light from ionized hydrogen, sulfur, and oxygen atoms in the region. The resulting image highlights the bright swept-back ridges that outline pockets of cool interstellar dust and gas. Such embedded, dark, tendril-shaped clouds contain the raw material for star formation and hide protostars within the obscuring cosmic dust. 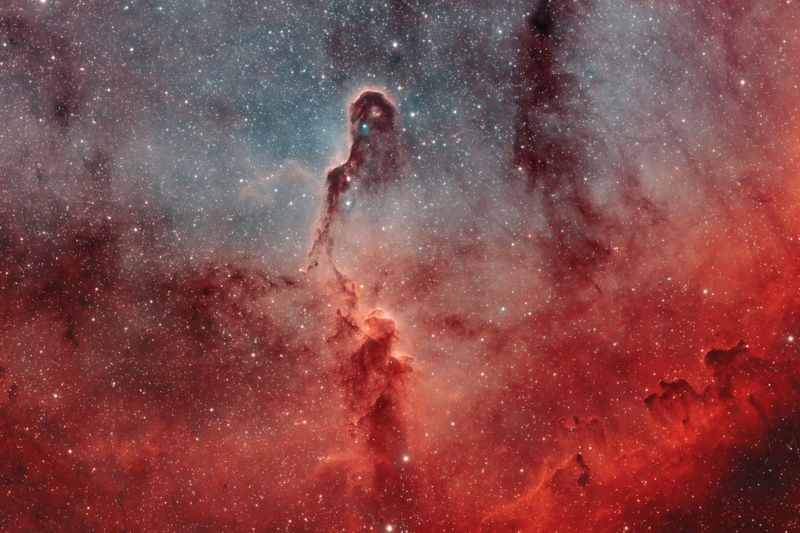 Nearly 3,000 light-years distant, the relatively faint IC 1396 complex covers a large region on the sky, spanning over 5 degrees. This dramatic close-up covers a 2 degree wide field, about the size of 4 Full Moons.